So it must be a problem with the large caps. 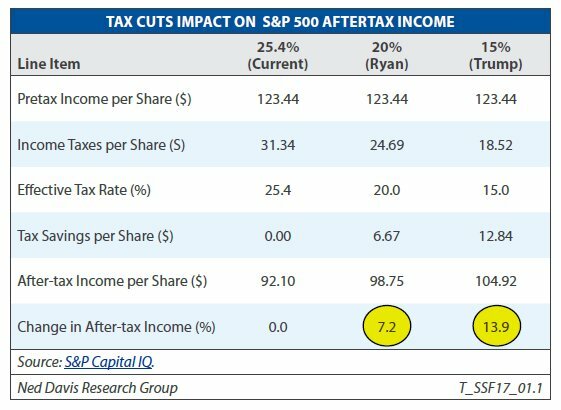 And “Small-cap tax cut even bigger. 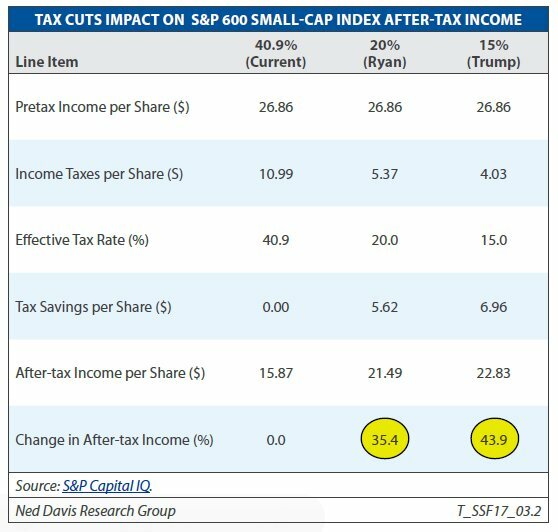 For S&P 600 [SML, 600 small caps], an effective tax rate of 20% would mean a 35% jump in EPS. At 15%, EPS would rise 44%. 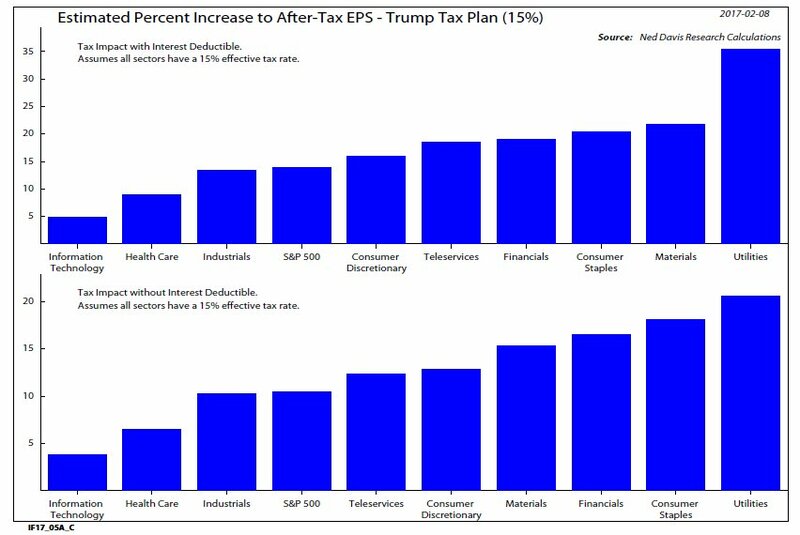 And they calculate that if the effective tax rate is cut from 25% to 20%, the EPS on the SPX would rise 7%. At 15% effective rate, EPS would jump 14%. the pullback will be bought again. Sigh, waiting for the small cap futures volume to improve. Would have been a fun ride. Hope you leveraged ETF guys made out like bandits! guess the phantom bar target will be reached within days. Well, guess that's it for today. Tuesday tomorrow was up 8 of the last 11. thank you guys, I'll see you tomorrow. best ever (for the current situation).